Next month, the Brit awards are scheduled to be held and a major tribute will be made in the honor of David Bowie at the event. On 24th February 2016, the ceremony will be held at the O2 Arena in London and it has been confirmed by Max Lousada, the chairman, that the ‘extraordinary work and life’ of the rock icon will be honored there. 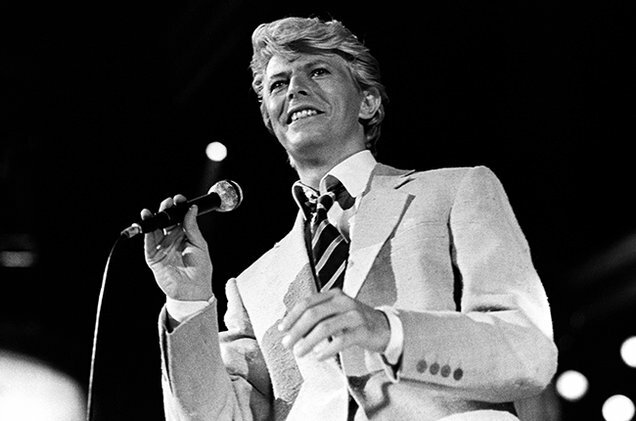 At the 2014, Bowie had received the Best British Male honor and had become the oldest recipient of a Brit award. Initially organized as a show for giving tribute, a memorial concert is also in the works and will probably be held at the Carnegie Hall in New York in March 2016. At the age of 69, David Bowie finally lost the battle against cancer on Sunday, 10th January, 2016. He immediately sparked a horde of tributes that came in from a number of prominent musical peers including Paul McCartney, Marilyn Mason, Boy George and the Rolling Stones. Annie Lennox, the former Eurythmics star also paid tribute to Mr. Bowie on Monday, 11th Jan, 2016 via her Facebook page. In her post, she said that she was stunned as others to hear that the rock star had departed and said that he had had a huge influence on their lives so it would take a while to accept it. Just two days before Bowie died, his last album called Blackstar had been released on his 69th birthday and Lennox also shared her thoughts about it. She said that the elegant gentlemen must have known that his end was near so he gave all of them a parting gift in the form of his last album. The 61-year old said that the album was out of this world and concluded her post with a heart touching poem about the rock icon who will forever be remembered.